HushMat Hoodliner Kit UNIVERSAL - Dezod Motorsports Inc - Home of the automotive performance enthusiast since 2002. Reduce that aftermarket engine, exhaust heat that comes from engine, headers and exhaust – with one USA Made material – HushMat Ultra II Hoodliner. 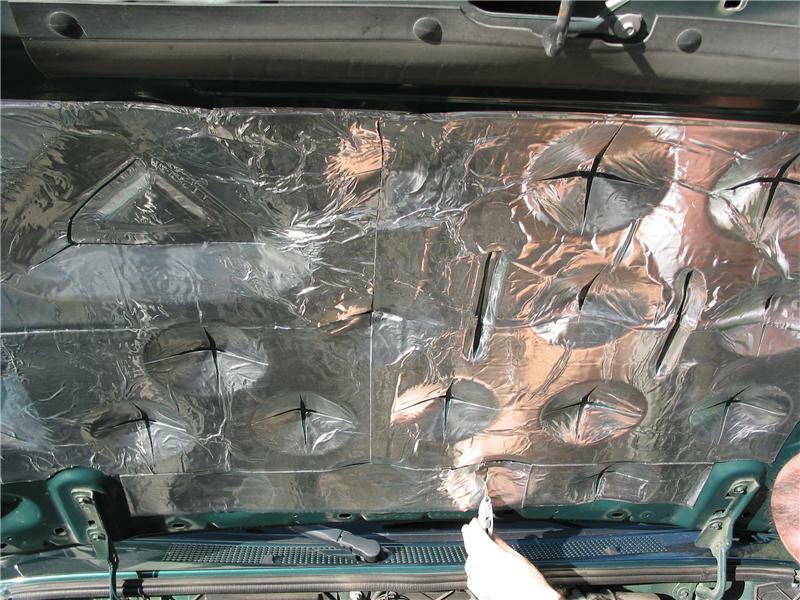 HUSHMAT ULTRA HOODLINER is temperature resistant and will maintain adhesion through all automotive bake cycles including 200°C (400 degrees F) over-bake conditions. This allows its application at any stage of the production cycle. It can be applied to both pre-painted and top-coated metal surfaces. It is compatible with automotive coatings and will not contaminate spray operations. 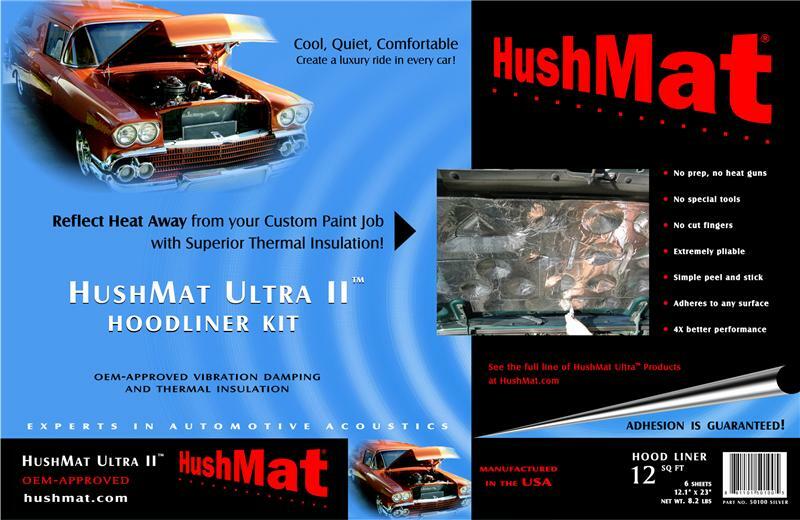 HUSHMAT ULTRA HOODLINER superior adhesion characteristics provide excellent corrosion resistance.